NBN Co, the company behind Australia's National Broadband Network (NBN), has overhauled the pricing structure of its top-tier products in a bid to encourage the network’s resellers to provision more bandwidth capacity for customers and drive the uptake of high value services among end users. The under-provisioning of bandwidth by some NBN retail service providers (RSPs) has been an ongoing cause of friction between NBN Co, resellers and end customers. RSPs that don’t buy enough bandwidth sometimes can’t provide customers with the network speeds they’ve signed up for. This dynamic is one of the reasons why Australia’s consumer watchdog decided to push play on its national broadband program, which is aimed at helping to pin down precisely where the faults behind slow NBN speeds reside – with NBN Co, or the resellers. As reported by sister publication, Computerworld, some telcos and other NBN RSPs have previously criticised the impact that NBN Co’s connectivity virtual circuit (CVC) structure, a capacity-based charged levied on resellers, has on their margins. The CVC is related to the amount of network capacity shared across an RSP’s end-user premises. It is purchased based on the bandwidth required to service all of an RSP’s end-user premises, aggregated by that CVC. Earlier this year NBN Co announced a new discount scheme for the CVC, aiming to cut the prices for RSPs if they provision more capacity per end user. The CVC model, launched on 1 June, calculates the level of CVC discount based on an individual RSP’s average capacity purchased per end-user each month. The discount was previously based on an industry average. Since then, however, complaints from end users relating to network speeds and connection times have continued to mount, according to the latest figures from the Telecommunications Industry Ombudsman (TIO). Now, NBN Co is having another go at reducing the occurrence of under-provisioning among RSPs, with a range of new products and wholesale pricing options designed to encourage the uptake of higher-value NBN products among resellers and end users while helping to meet the growing demand for fast speeds in peak hours. Specifically, the network builder has unveiled major discounts on its top-tier internet access plans, a move designed to deliver “significant” savings for its wholesale customers and allow them to improve broadband speeds and service for end users. 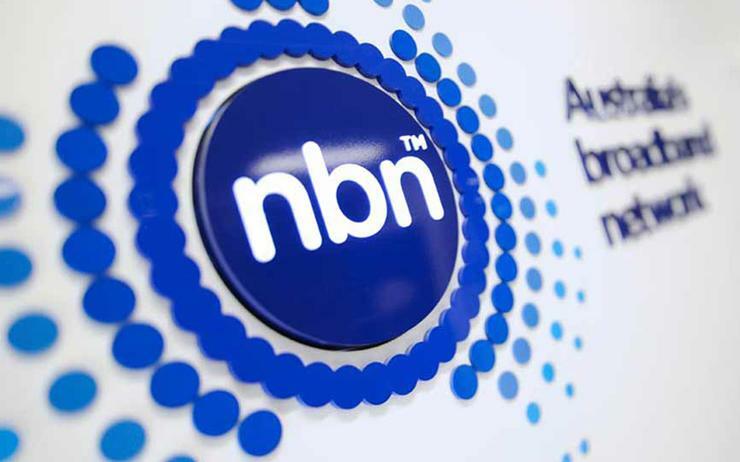 Under the new changes, NBN Co plans to introduce a number of new products, including a new NBN 50 wholesale bundle charged at $45 a month with 2Mbps of bandwidth included and a NBN 100 wholesale bundle at $65 a month with 2.5Mbps capacity included. “We’re still seeing more than 80 per cent of end users buying NBN packages of 25Mbps or less. And yet the NBN network has the potential to do so much more,” NBN Co's chief financial officer, Stephen Rue, said. “We are, of course, seeing a land grab in the industry, and this has led to retailers competing largely on price, not quality. Our CVC dimension-based pricing has helped, in terms of capacity provisioning, but we do think we need to do more, as it’s not providing enough incentive for retailers to sell higher speeds. "Obviously, wholesale pricing is one thing that we can control during this whole industry-wide transformation,” he said. "Of the products that we’re introducing, we positioned the NBN 50Mbps service as our flagship plan,” he said." The changes, which apply to NBN Co’s fixed-line access network, come into effect in the second quarter of 2017. They see NBN Co, for the first time, bundle together access and bandwidth charges for its higher speed plans under a new pricing structure. Previously, the static access charge, known as the Access Virtual Circuit (AVC), and the fluid capacity charge (CVC) made up a two-part pricing model that had seen some retailers under-provision bandwidth, which was impacting end user speeds during peak download times. However, NBN Co claims that its new plans and pricing structure include nearly double the current average capacity being purchased by retailers across all NBN fixed line services at present.